Help your hiring team succeed by hiring the best applicants on the market. When you simplify the hiring process, you foster that success. Njoyn, now with more advanced features than ever before, is designed to help hiring teams succeed. Sleek. Easy to use. Designed to prevent leakage of data to systems like email. Better reporting. All while preserving the tools that make Njoyn Canada’s go-to recruitment management solution. Hiring managers have more to do than fill open positions. 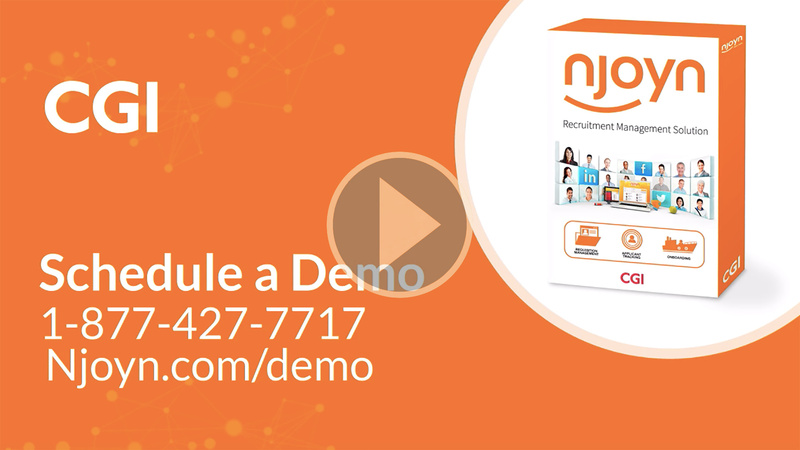 Njoyn is designed to help them effectively move through their hiring work in less time. Use the new Hiring Dashboard to see all candidates assigned to a manager, plus other vital information, all in one screen. Open Pending Negotiations to build business cases for standout candidates who don’t precisely fit a job’s given parameters. Review candidates in Card View. Swipe left or right to view candidates. Select the option “Interested” to proceed with an interview or next recruitment step. Speed up hiring decisions using Njoyn. 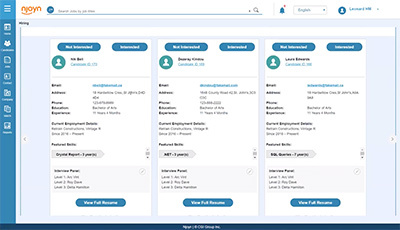 The next generation of Njoyn provides hiring managers with all of the information and features they could need – without the irrelevant clutter – all on one page. Recruiters handle multiple candidate searches every day. The Njoyn recruitment management system makes these searches easier to manage than ever before. The new Recruiter Dashboard shows a recruiter’s day on one easy-to-read page. A pull-out calendar lists every upcoming interview. Use Njoyn’s many filters to quickly create manageable applicant lists for hiring managers. Category tabs conveniently sort candidate lists by hiring process stage. All the steps and processes in a recruiter’s day now appear in one place. Njoyn. Replacing former employees. Creating new positions. Expanding the organization. Human resource professionals must regularly create and manage jobs to keep their organizations in motion. From creation through approvals and posting, Njoyn makes job creation work faster and easier than ever. 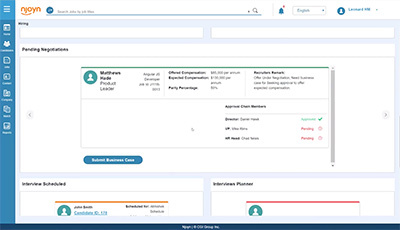 Clone existing jobs and create requisitions from job templates that even include pre-screening questions. Maintain English and French versions in one job requisition. Add multiple locations to a single job requisition. Create sequential approval chains so Njoyn can forward requisitions to multiple managers in the order you choose. Choose multiple broadcast channels (internal, job boards, social networks) from lists you create. Set date ranges for each individual channel. Create consistent job requisitions faster. Never again will you need to create multiple postings by location or language, or remove an advertised job. Handle more in less time with Njoyn. 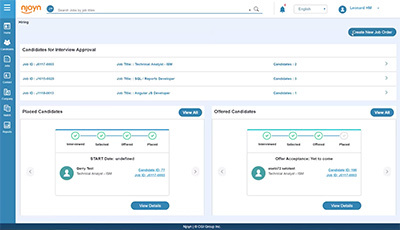 WIth our new onboarding features, speed up the process of moving the best candidates from the applicant pool into your workplace. Welcome new hires by utilizing our brand new interface. Put onboarding documentation there to help candidates start sooner. Let H.R. and hiring managers know right away which candidates are coming on board and enable all parties to help your new colleague hit the ground running. Finish the hiring process right with Njoyn. Enhanced collaboration. All-in-one dashboards. Less data leakage. Better, more accurate reporting. Sleek and easy to use interface, in the office or on the go. See it for yourself.